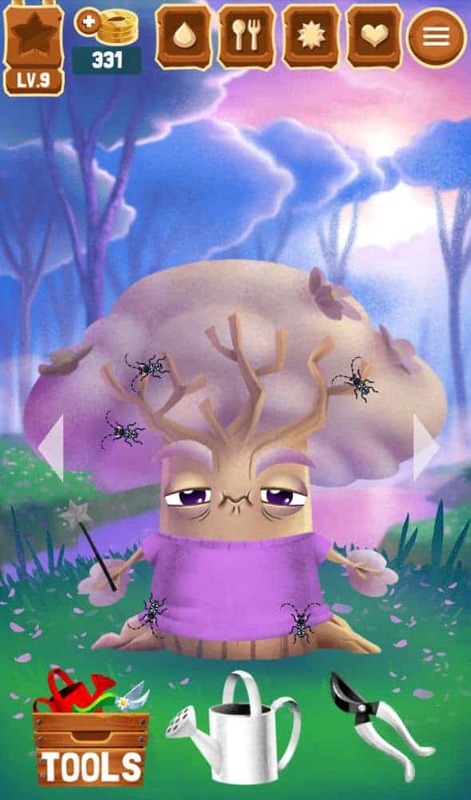 *This app review of Tree Story is brought to you by Zig Zag Zoom. All opinions are our own. I love finding new fun games for my iPhone. There always seems to be a few minutes to play something quick whether it is running to activities or just unwinding at the end of the day. You need to check out the new app Tree Story. Not only is it a super cute game that allows you to grow a fun pet tree, you also can help plant real trees through the app. You can pick it up the free version available both for iOS and Android. Ad-free version iTunes Store – On sale for a limited time for $.99! 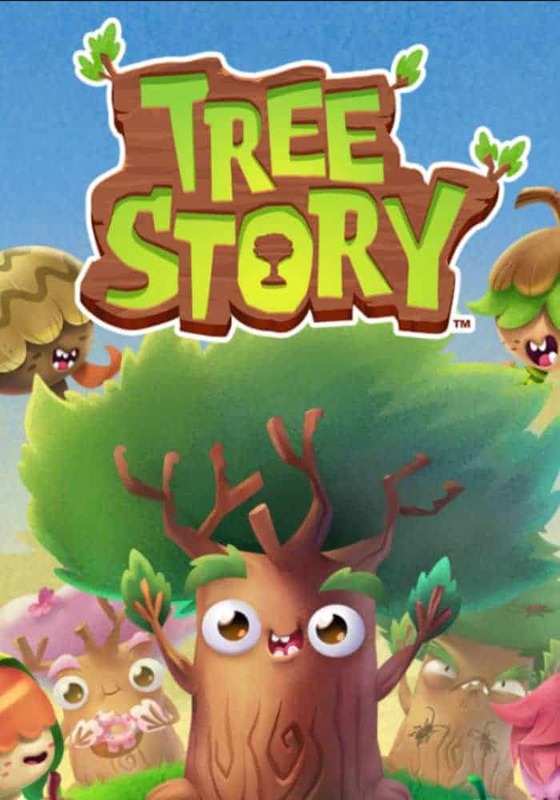 Does our Tree Story app review have you ready to go out and play this amazing game that can literally change the world? What project would you play for? This game is a virtual pet style game. When you first start you pick between three types of tree seeds that will become your pet tree. You then pick the project you would like to play for, which will ensure that any earned trees are planted. Trees can be earned by purchasing extra coins or upgrades, and by watching ads. 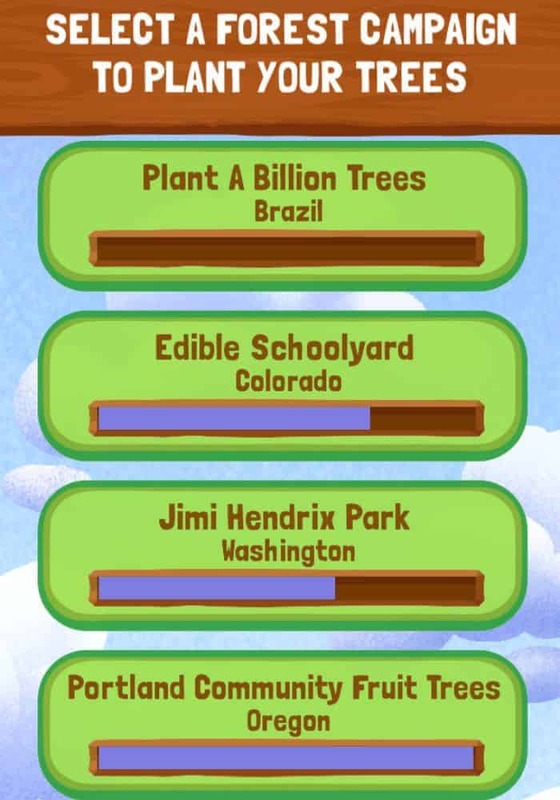 This game also provides fun facts about trees as you play and an impressive list of environmental groups as partners. With a list like this, you know any real trees you earn while playing will be planted. Once you have picked your seed and named it, you are on your way to taking care of your new pet tree. Your tree needs water, sunshine food and love to grow and you will collect coins as you help meet your trees needs. I found the food section quite hilarious, as you can feed your tree everything from nachos to eggs to fruits and vegetables. You can also use your earned coins to pick up upgrades and buy fun extras such as clothes for your tree. I did find the meters that let you know what your pet needs ran out very quickly. This makes this an ideal game for trips or waiting for anything. I was away from my pet for most of the afternoon and came back to my tree needing some serious TLC. I also found my tree covered in bugs I had to get rid of! I left my tree alone for the afternoon and it needs some serious TLC! There are a couple extra options that make this game even more fun in the section where you can give your tree love and attention. You can use a dog toy style squeaky toy to play with your tree and make the love meter go up. Even more fun, you can play little mini-games to make the love meter go up and earn extra coins. These games range in style from color matching games similar to Bejeweled or Candy Crush to hoping games and even a fun mini basketball-style game which was my favorite. Even better, there are lots of extra mini-games to unlock. I can’t wait to see what other mini games there are to play! This basketball game is so much fun! This is a solid game that’s tons of fun. I love that you are supporting planting real trees as you play. Give it a try! You will adore your little tree! Feed a Hungry Crowd with Our Easy Vegetarian Eggplant Lasagna Recipe! Lookup the net regarding online coupons before you make an internet purchase. lots of your fellow couponers could have no need for diaper coupons and would be prepared to attach and deal nappy coupons for additional coupons they’d use. I must admit, I don’t actually play games on my phone. When Inhave idle time, I’m addicted to Pinterest. The trees look cute though. Oh, this sounds so cute. I think I want a pet, too. This looks like a fun app. I will have to tell my friend about it – I think her daughter would love it! I def need to tell my sister about this for the kids they would love it! This sounds like a super cute and fun app. I’m always on the look out for apps like this for my kiddos, so I will have to check it out! This is TOO cute. I bet my kids would love it. They already love growing a boo. I am going to show it to them. 🙂 Thanks. I love Colorado’s idea of Edible Schoolyard. If my kids school would launch that program, I would sure volunteer. This is a great app for kids indeed and I will have to share this with my niece for her kids. I love the lessons it gives the kids while they play too along with the knowledge of the trees. Thanks for sharing the information about this awesome game. I love interactive games for kids. This game teaches a child to be responsible in caring for their tree. It also teaches them to care for the environment. I will be recommending this app to my friend who owns a pre-school. This would be a good activity for her little students. That’s a great idea. I think those lessons could be awesome for the kids. This sounds like a cute app. I’ll have to see if it’s something my 4 year old would enjoy. I have heard of this app before, but I haven’t downloaded it yet. Thank you for the reminder! I never heard about these game but sounds like fun game. This looks like a cool app/game but my granddaughter is too young to play. Does this remind anyone else of tamagoochis? I think my son will love this! 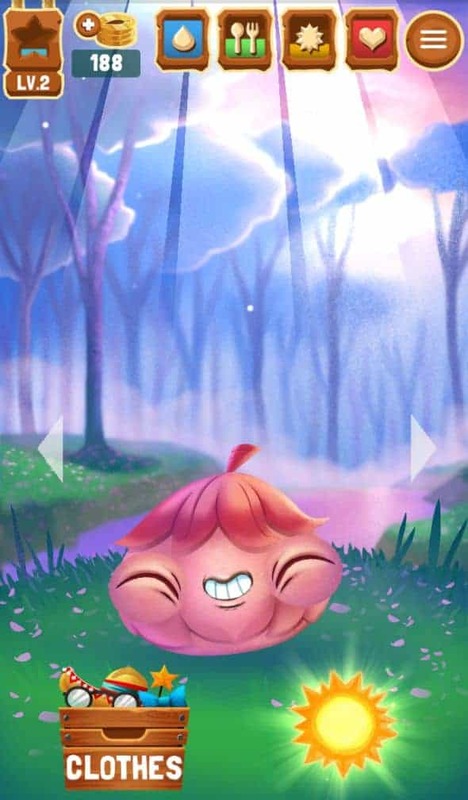 I love the graphics, they are soo cute! My kids have been bugging me to update my game apps. I will have to give this one a try! That is such a cool app. My son loves trees, so he would love this. Plus, I love the fact that trees are really getting planted. This looks like a really cute and fun app for the little ones. I’ll have to download it later. That is absolutely the coolest! I love that they actually plant trees. I bet the kids would love playing this game. I might like it as well. I’m not sure what project I’d play for so I’ll have to try it to find out. Sounds like a very fun app for little kids! It’s great that there are educational apps out there! What a fun app! Will have to download this for my daughter! This app is cute, I wanna try it out for.my kids, Im sure they’re would love this cute app. What a cute app! This would be nice for kids as it would raise awareness. Nice app or game. 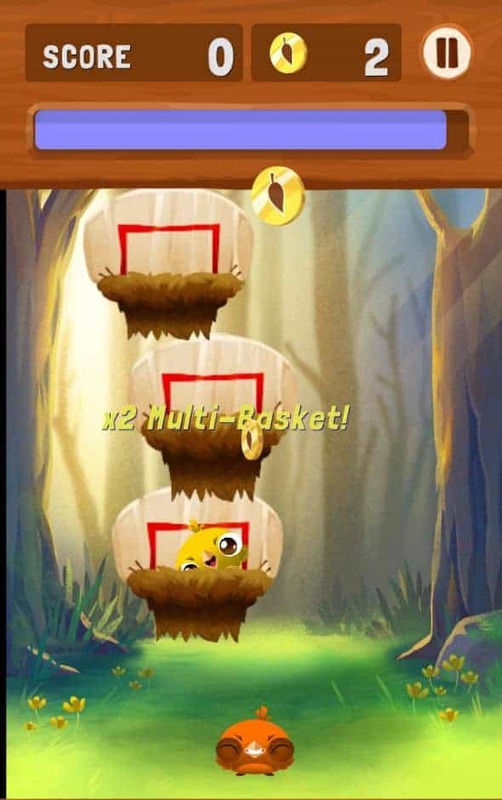 Enojayble and at the same time, it teaches the players the value of TREEs or nature in general. I like mini games. They’re good for holding short attentions spans and still getting a little learning time in. Looks like a fun app for children. Planting trees is such a good cause. What a fun way to earn credits for trees. This looks like a great app. I will look into it for my daughter! That sounds like a very fun app. I’d definitely let my kids play around with it. I love it. What a great concept. Kids get to have fun and learn how to nurture and take care of environment. Sharing! I love this app for kids. It teaches them about the life cycle of trees and also valuable lessons on how to care for the environment. I will be recommending this to my friend who owns and operates a pre-school. That sounds like a fun app for little kids. I think my young nieces would really enjoy playing this.